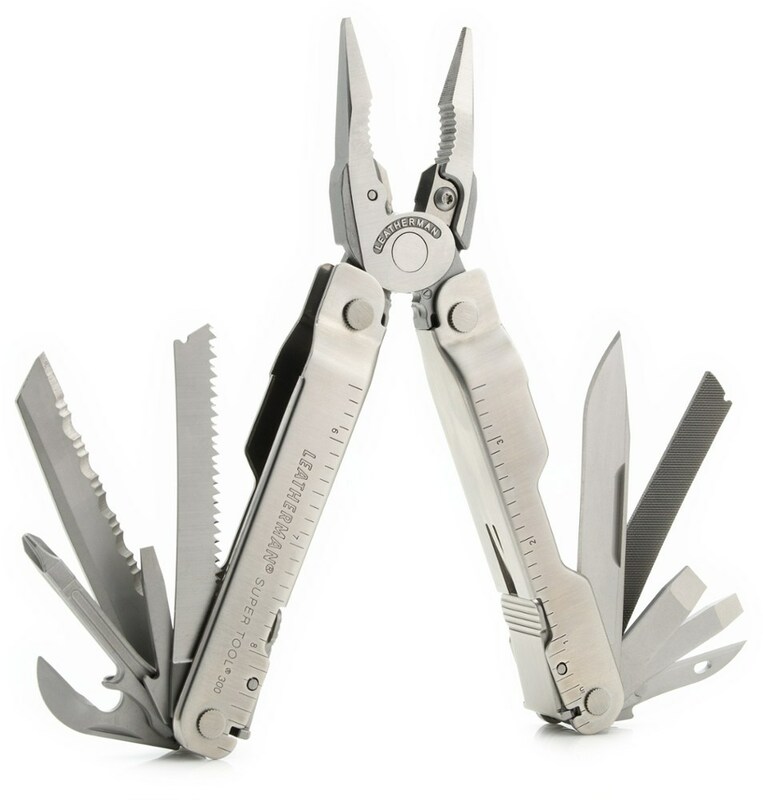 Exploring, learning, doing: introducing the Leatherman Leap, the first Leatherman multi-tool created specifically for younger users. Their engineers designed the Leap with safety as their #1 priority. Thats why the Leap includes safety locks that keep fingers from the path of the tools, a two-hand opening knife blade for safer deployment, and a secure grip designed to train users to properly and safely operate tools. The Leap also comes with a user-installed knife blade that can be added by a parent when the user is ready for more responsibility. 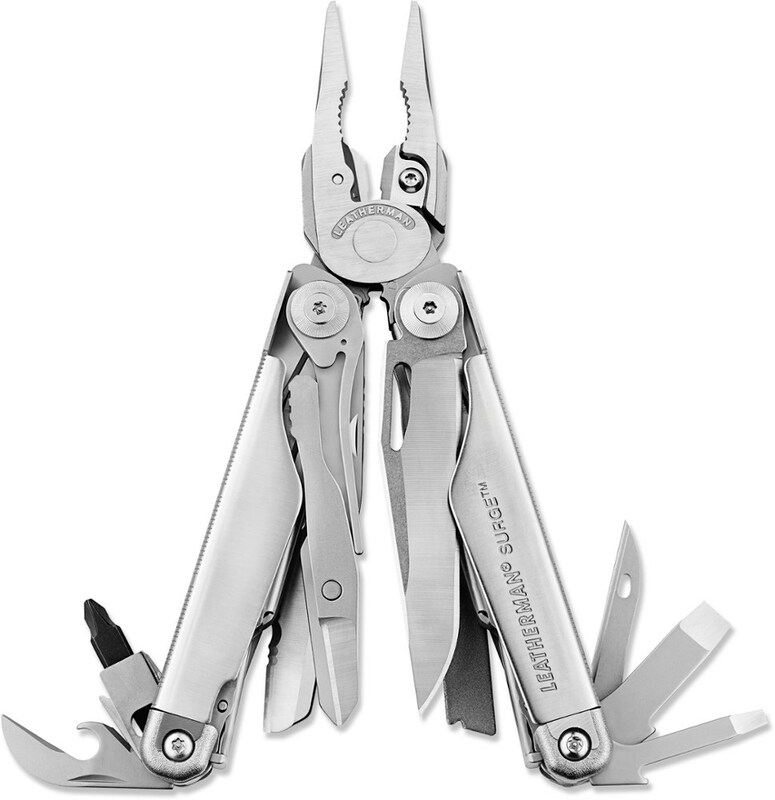 At Leatherman, they celebrate the mentors who took the time to pass on a valuable skill or life lesson. Together, were helping adults pass on their tool skills and build a meaningful heritage with the next generation. 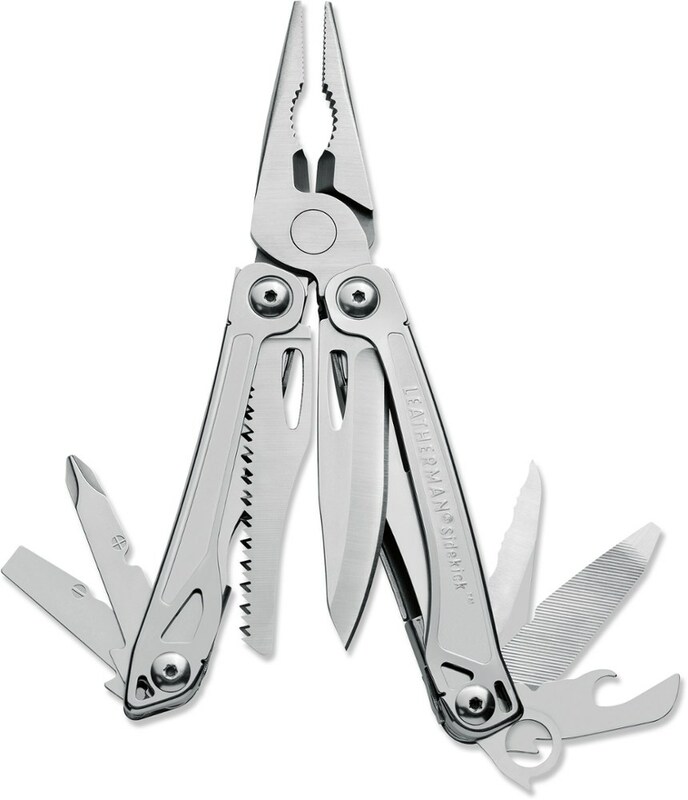 The first Leatherman designed just for kids - the Leatherman Leap multi tool is just like the grown-up versions except for some important safety features including a user-installed knife. Glass-filled nylon handle is easy to grip in small hands. 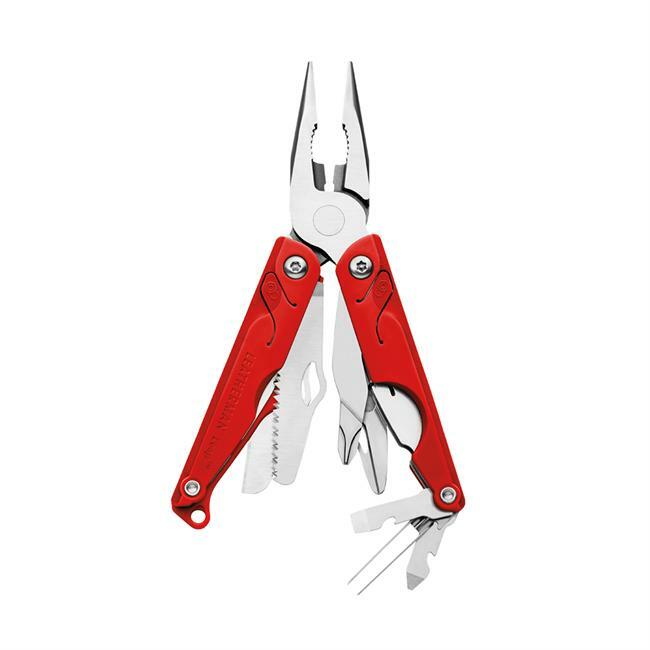 Tools include: needlenose pliers, regular pliers, wire cutters, stainless-steel knife. Also: saw, scissors, ruler, tweezers, bottle opener. And: Philips screwdriver, standard medium screwdriver and a standard small screwdriver. For kids ages 9 and up. Includes: 13 tools. When installed, the knife requires two hands to open and then locks in place. Ergo grip handle is designed so the blade is operated away from the user. Imported. 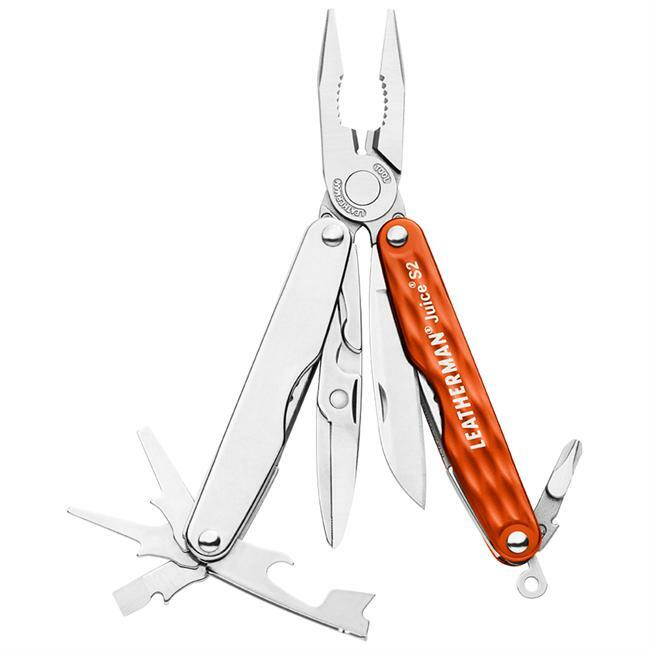 The Leatherman Leap is the perfect multitool for your little outdoorsman! Its small size makes it easier for kids to hold and use, and the knife blade can be installed whenever you think your child is ready to handle it responsibly.. . . 420HC knife blade is included, but not attached, so that you can install it when you decide your child is ready for it; blade also has a rounded tip for increased safety. Saw blade is less aggressive than traditional multitool saw blades. 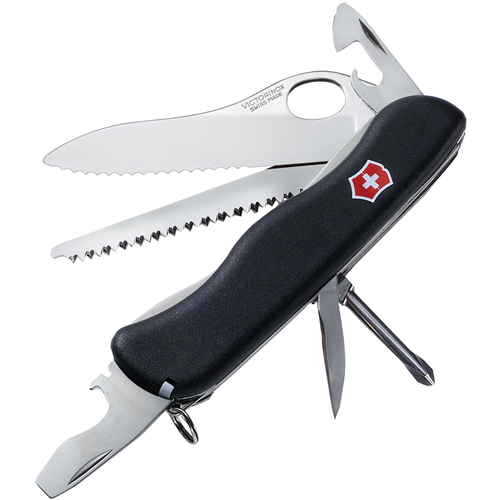 Smaller size fits more comfortably in small hands; nylon handle scales have a grip that encourages the user to operate a blade properly (away from their body). Safety locks are positioned so that your child's fingers are never in the path of the blade. 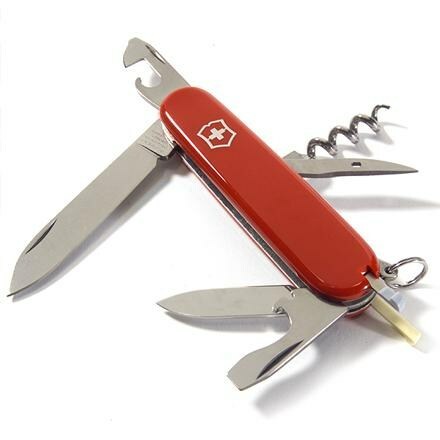 Includes 10 other tools:~ Needle-nose and regular pliers~ Wire cutters~ Small and medium flat screwdrivers and a Phillips screwdriver~ Ruler~ Tweezers~ Scissors~ Bottle opener.